Exquisitely designed by our designers, we are engaged in offering a comprehensible range of Leather Wallet. These wallets are manufactured using topnotch quality raw material such as leather, PU, PVC, which makes them durable, reliable and wear & tear resistant. Apart from this, we offer these wallets with high quality ivory suede interior, which gives them perfect finish. 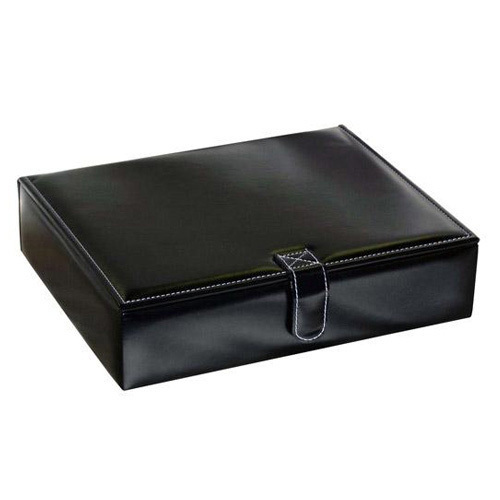 For the maximum quality of our clients, these wallets have various individual compartment for change, cufflinks, key, & bracelets, and covered compartment at the back for precious belongings such as jewelry and watch. Since establishment, we have been engaged in manufacturing, supplying and exporting an extensive range of Imitation Jewellery. Our entire range comprises Pendant, bangles and many more. We manufacture these products using top quality raw material, which is procured from trusted & reliable vendors. Known for their attributes such as longer functional life, excellent performance, optimum quality and corrosion resistance, these products are used for various commercial and domestic purposes.